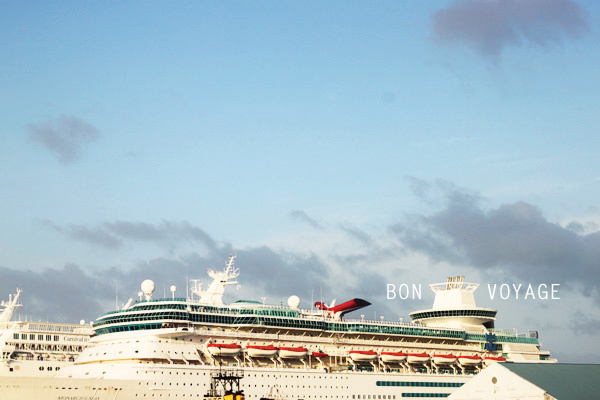 If you missed part one of my cruise recap, click here. 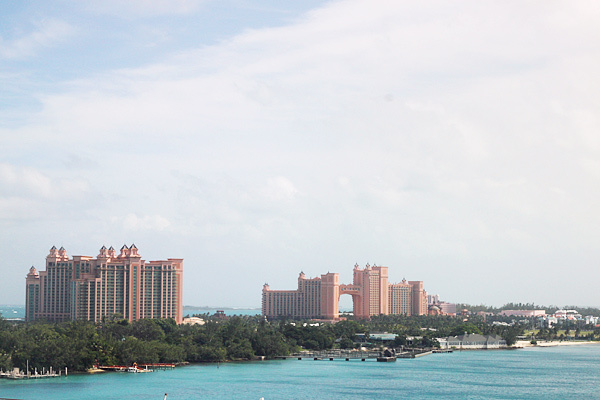 After a long night of trying to sleep on a moving vessel, we woke up somewhere near Nassau, Bahamas. 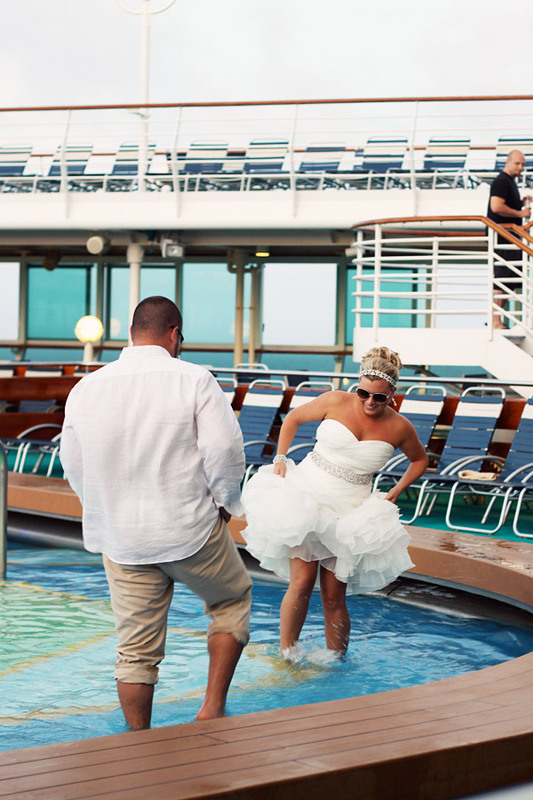 Along with the rest of the wedding guests, we sat on the top deck and watched our ship sail into port sipping on a few cold ones. 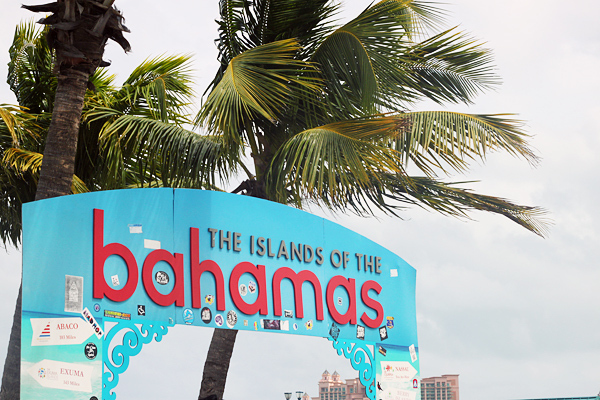 A lot of the people we traveled with made plans to visit the world-class water park at Atlantis or swim with dolphins at Dolphin Encounters. But not me and J.R. Nope. 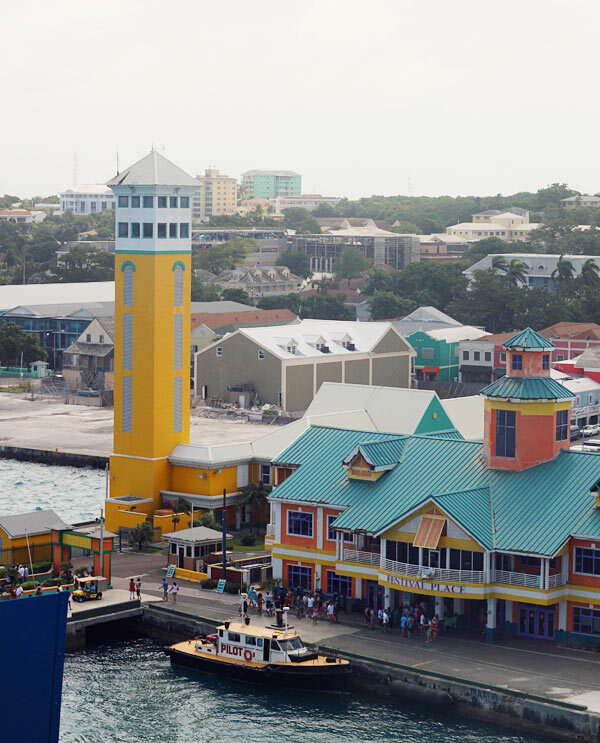 We decided we wanted to see the sights in Nassau. Quickly. 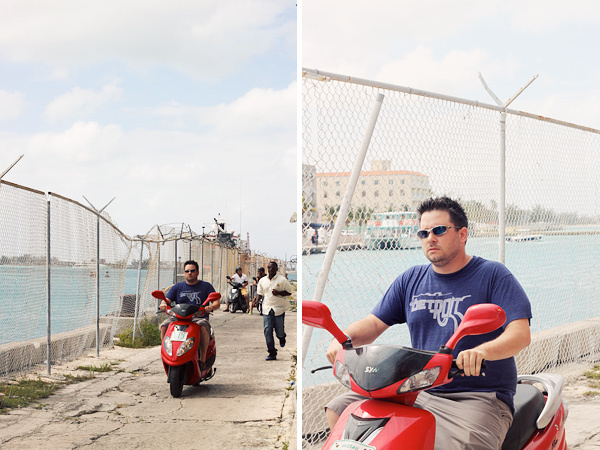 So we rented a zippy little scooter and took our own little adventure around Nassau and Paradise Island. 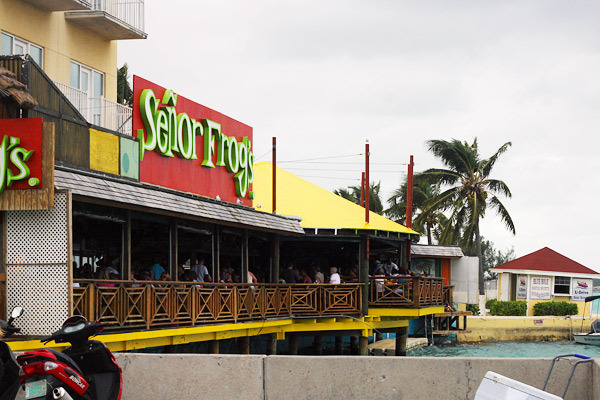 It cost us $60 for the whole day, and it gave us a chance to see some of the spots that the locals hang out at, like the Fish Fry at Arawalk Cay, along with the more touristy spots, like the ever popular Senor Frogs. 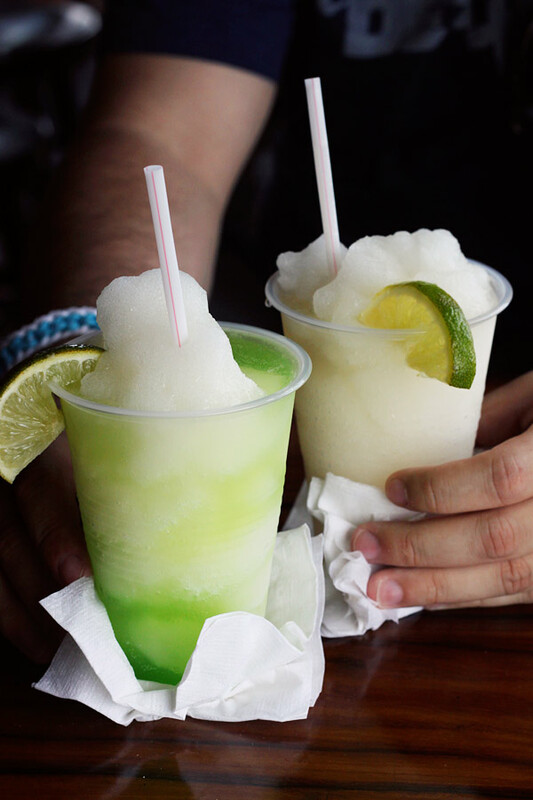 It was after the scooter ride at Senior Frogs where we did the most damage to our livers and our wallets. 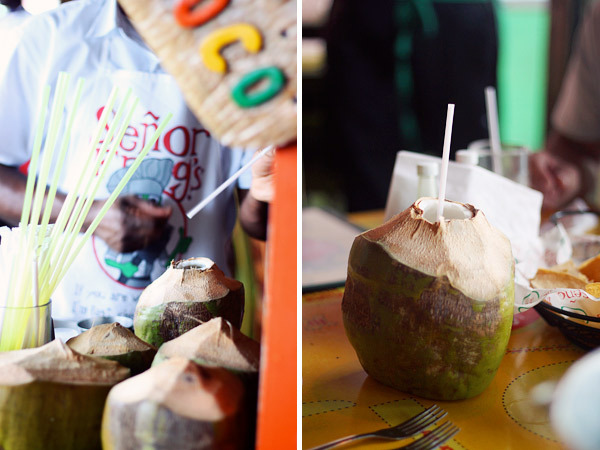 There were plenty of frozen margaritas, coconut cocktails (served in a real hollowed-out coconut—how’s that for presentation?) 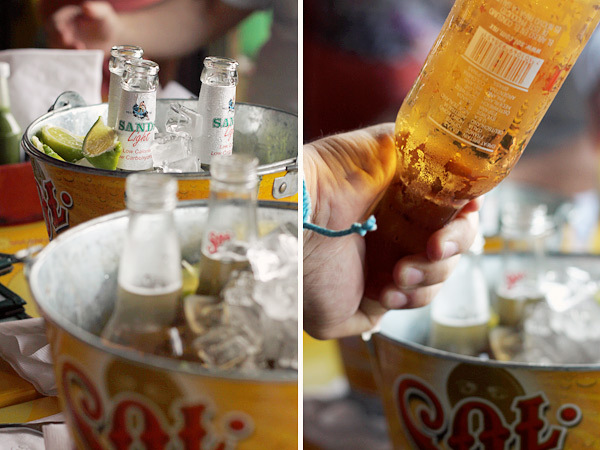 and beer to go around (I really liked Sands Light, brewed in nearby Freeport, Bahamas). It was a great day out at port. And I was pleased to see that we had a guest waiting for us back in our stateroom. 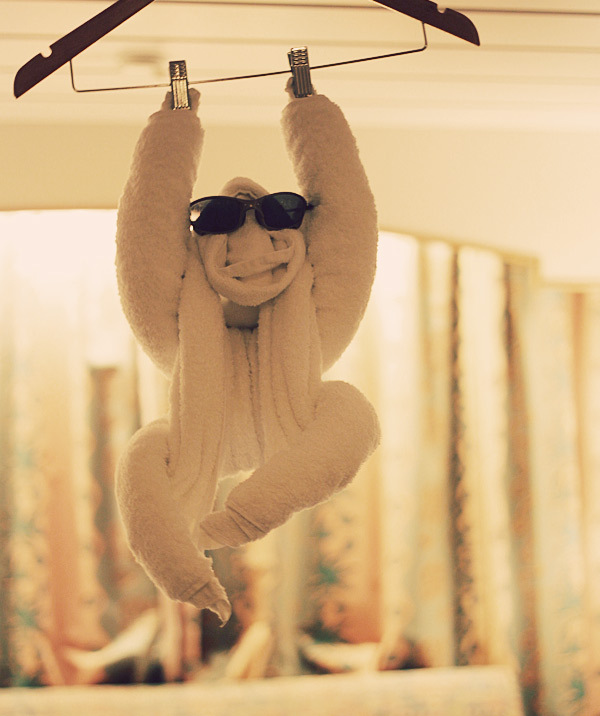 I mean, It’s not a cruise until you get a towel animal wearing your sunglasses, right? 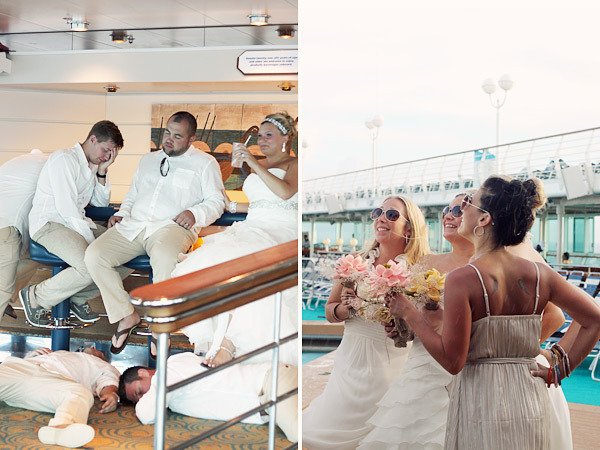 The next day we were supposed to spend a beautiful day at Coco Cay, Royal Caribbean’s private island, watching friends recite their wedding vows on the beach. But Tropical Storm Patty had other plans. 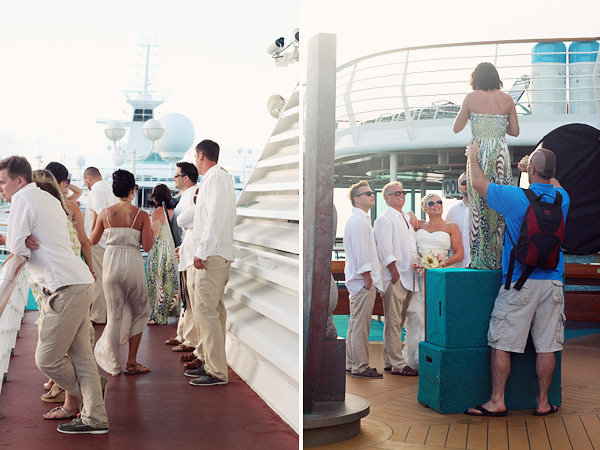 Instead, the girls donned their dresses and the boys donned their slacks and got together to shoot some wedding photos out on the open seas as our cruise ship sailed to better weather. That’s the lovely and talented Becky of Leigh Photography up there precariously balancing on those risers. What a photographer won’t do to get a good shot! Like this one of the boys “passed out” at the bar (inspired by Pinterest of course). Despite the setbacks with the weather, it was a beautiful “wedding” and tons of fun, as we carried the celebration long into the night. or relaxed, or feeling well-fed. If you’re lucky, you feel all three. If you’re unlucky, you feel sea sick. As I’m typing this, I still feel like I’m rocking back and forth. After being on a shaky boat for four days, my body is still trying to compensate, even though we’re safe on dry, relatively un-moving land. They tell me it’s normal. It was my first ever cruise, so I wasn’t sure what to expect. But I know one thing: A few days of unbalanced equilibrium is well worth it. I had a blast! I bookmarked your blog a while back and have just come to catch up! 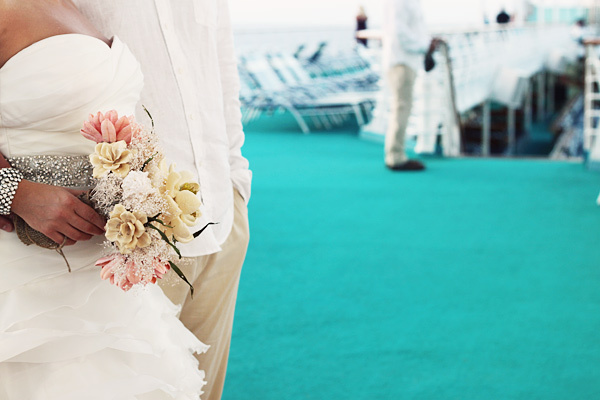 Beautiful pictures and lovely ideas! !